Start off your visit on the 30th (Sun): enjoy the sea views from Archipelago National Park. Keep things going the next day: explore the world behind art at Soderlangvik and then look for all kinds of wild species at Oro. To see maps, more things to do, reviews, and tourist information, use the Kimito Island route planner. Bristol, UK to Kimito Island is an approximately 12-hour flight. The time zone difference moving from Greenwich Mean Time to Eastern European Time is 2 hours. In June, daytime highs in Kimito Island are 21°C, while nighttime lows are 10°C. Wrap up your sightseeing on the 1st (Mon) early enough to drive to Turku. Kick off your visit on the 2nd (Tue): deepen your understanding at Turku Cathedral, admire the masterpieces at Ett Hem Museum, then brush up on your military savvy at Forum Marinum Maritime Centre, and finally step into the grandiose world of Turku Castle. Keep things going the next day: examine the collection at Louhisaari Manor, examine the collection at Luostarinmaki Handicrafts Museum, and then explore the ancient world of Aboa Vetus & Ars Nova. 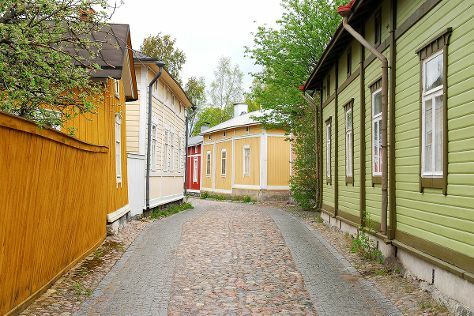 To find ratings, maps, traveler tips, and tourist information, use the Turku trip itinerary builder site . Getting from Kimito Island to Turku by car takes about 1.5 hours. Other options: take a bus. In July, daily temperatures in Turku can reach 24°C, while at night they dip to 13°C. Wrap up your sightseeing on the 3rd (Wed) early enough to drive to Pori. Pori is a city and municipality on the west coast of Finland. 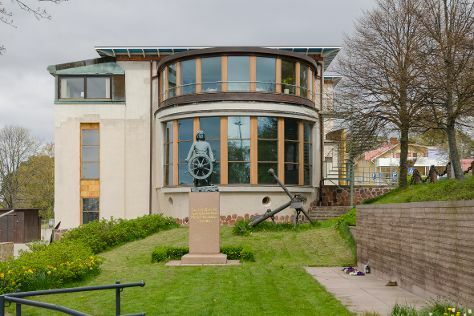 On the 4th (Thu), contemplate in the serene atmosphere at Central Pori Church (Keski-Porin kirkko), take an in-depth tour of Rosenlew Museum, then examine the collection at Villa Mairea, and finally enjoy the sand and surf at Yyteri Beach. 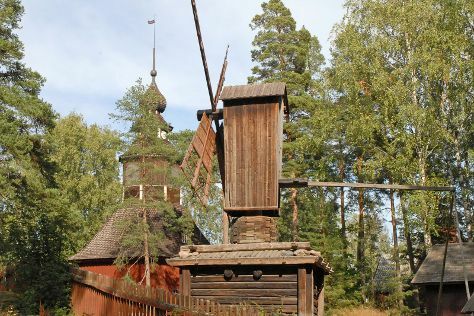 Keep things going the next day: get engrossed in the history at The Old Town Hall Museum, look for gifts at Ruokapuoti Lumo, then appreciate the extensive heritage of Old Rauma, then enjoy the sea views from Kylmapihlaja Lighthouse Island, and finally take in the architecture and atmosphere at The Church of the Holy Cross. To find traveler tips, ratings, and more tourist information, read our Pori trip planner . You can drive from Turku to Pori in 2 hours. Alternatively, you can take a bus; or take a train. In July, daily temperatures in Pori can reach 24°C, while at night they dip to 13°C. Wrap up your sightseeing on the 5th (Fri) to allow time to travel to Mariehamn. Mariehamn is the capital of Åland, an autonomous territory under Finnish sovereignty. Start off your visit on the 6th (Sat): examine the collection at Museumship Pommern, brush up on your military savvy at Aland Maritime Museum, steep yourself in history at Jan Karlsgården Outdoor museum Jan Karlsgården, then see the interesting displays at Kastelholm Castle, and finally take in the waterfront at The Maritime Quarter. For where to stay, more things to do, traveler tips, and other tourist information, use the Mariehamn road trip planning tool . Getting from Pori to Mariehamn by combination of bus and flight takes about 4 hours. Other options: do a combination of car and ferry; or do a combination of bus and ferry. In July in Mariehamn, expect temperatures between 23°C during the day and 13°C at night. Finish your sightseeing early on the 6th (Sat) so you can travel to Savonlinna. Start off your visit on the 7th (Sun): witness the site of a historic battle at Salpa Line, contemplate in the serene atmosphere at Kerimaki Church, then examine the collection at Lusto - The Finnish Forest Museum, then step into the grandiose world of Olavinlinna Castle, and finally pause for some serene contemplation at Pikkukirkko. Keep things going the next day: explore the striking landscape of Kolovesi National Park. 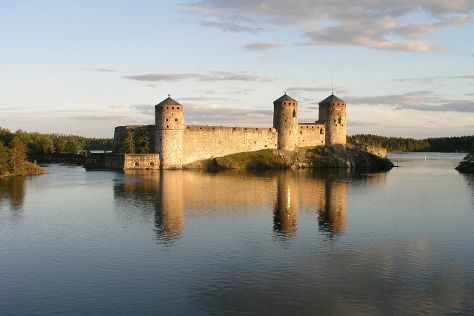 To see where to stay, traveler tips, more things to do, and more tourist information, read Savonlinna vacation site . Getting from Mariehamn to Savonlinna by flight takes about 5.5 hours. Other options: do a combination of flight and train; or do a combination of flight and bus. In July, daytime highs in Savonlinna are 24°C, while nighttime lows are 13°C. Finish your sightseeing early on the 8th (Mon) to allow enough time to drive to Helsinki. Start off your visit on the 9th (Tue): contemplate in the serene atmosphere at Rock Church, browse the exhibits of Seurasaari Island and Open-Air Museum, then brush up on your military savvy at Sea Fortress Suomenlinna, then take in the spiritual surroundings of Uspenskin Cathedral (Uspenskin Katedraali), and finally take in the architecture and atmosphere at Helsinki Cathedral. Get ready for a full day of sightseeing on the 10th (Wed): make a trip to The Esplanadi Park, explore the world behind art at Kansallisgalleria, then shop like a local with ARTag Gallery, and finally view the masterpieces at Galleria Lapinlahti. For maps, photos, traveler tips, and tourist information, read Helsinki trip itinerary app . Traveling by car from Savonlinna to Helsinki takes 4 hours. Alternatively, you can fly; or take a train. In July, daytime highs in Helsinki are 25°C, while nighttime lows are 15°C. Wrap up your sightseeing on the 10th (Wed) early enough to travel back home.